Justyna brings over 15 years of experience in providing administrative and customer service support. Prior to working in our dental office, Justyna worked in the educational and recruitment industry. She holds university degrees in Business Administration and Human Resources. 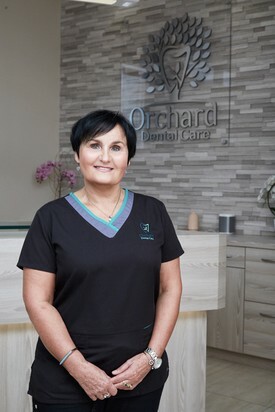 She is fluent in English and Polish and is always happy to look after our patients needs. When Justyna is not working, she enjoys spending time with her family, reading, walking, and listening to music. Bogusia obtained Dental Assistant qualification in 1984 in Opole, Poland and worked as a Dental Assistant for 15 years before coming to Canada in 1995. Continuing her career in Dentistry, she obtained Ontario Dental Assistant certification in 2000, and joined Dr. Polanski’s office in 2003. 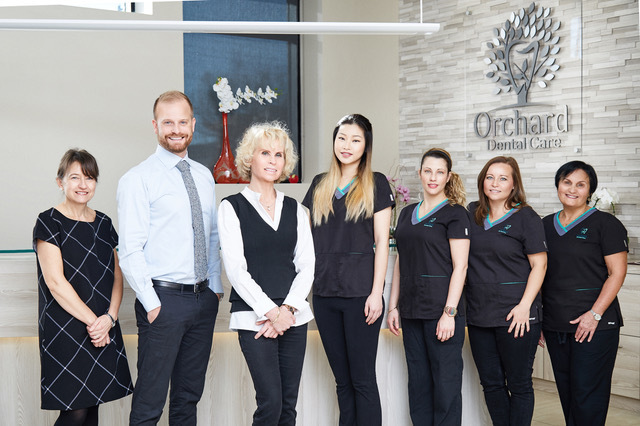 Bogusia enjoys helping patients feel better about their dental care by providing a calm atmosphere and getting to know them on a more personal level. After work, she enjoys activities such as walking, biking and swimming. 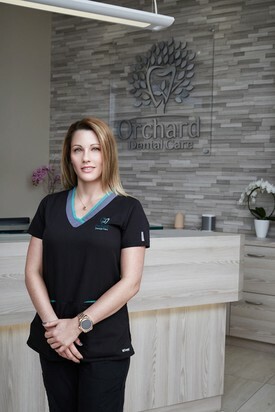 Dalgis graduated from George Brown College in 2012 and worked as a Dental Assistant in the GTA before joining the Orchard Dental team. She is fluent in English and Spanish. She Ioves running, roller blading and being active in general. She also has interest music, art and dance. Dalgis’s main goal as a Dental Assistant is to make each patient feel special and comfortable. Agnes graduated with honours in 2008 from Oxford College in Scarborough, where she received her Dental Hygiene Diploma. Prior to that, she graduated from the Level II Dental Assisting Program. 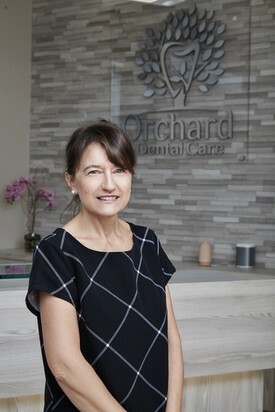 Agnes joined our Orchard Dental Care team in 2017. She brings to the office a fresh attitude and passion for providing oral health care and education. Agnes enjoys working with people to fulfil their dental hygiene and periodontal needs. She believes in providing all of her clients with customized dental care and education using a gentle and friendly approach. She looks forward to making your dental visit an enjoyable and comfortable one. Away from the office, Agnes loves spending time with family, traveling and hiking.